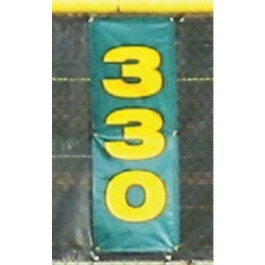 CoverSports outfield home run distance markers are printed digitally on reinforced vinyl fabric. There are many color combinations, making it easy to fit your team's colors! CoverSports outfield home run distance markers are printed digitally on reinforced vinyl fabric. 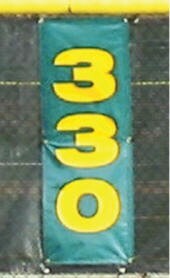 Includes 3 vertical home run distance banners sewn to your Grand Slam fence mesh. Many color combinations are available. 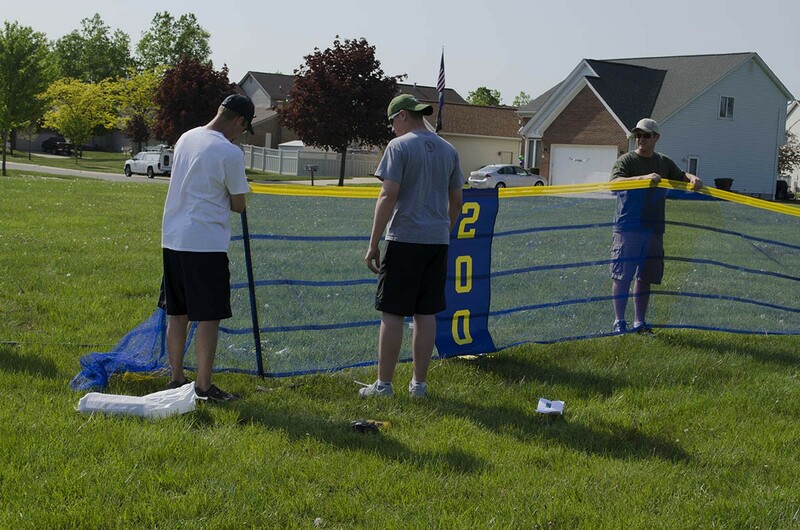 Most purchase the same background color as their fence mesh (blue, green or red) with yellow lettering to match the home run marker, but a variety of combinations are available! If you are interested in matching the exact shade to your team's colors, please contact us for a quote.